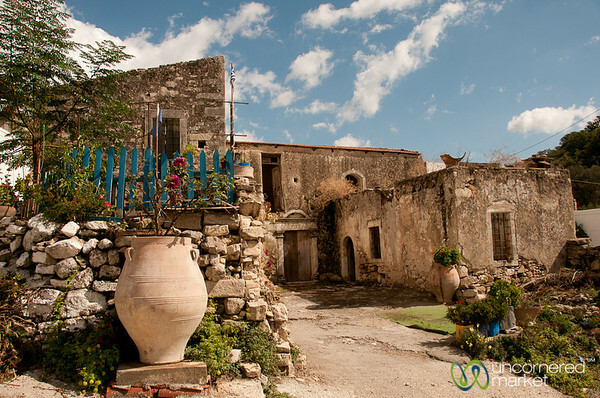 A picturesque abandoned Cretan farmhouse. 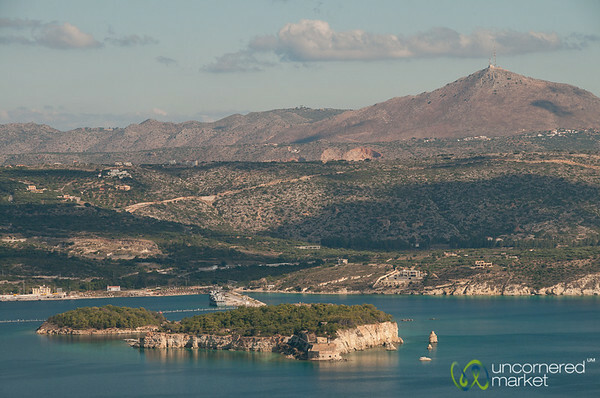 Looking out over Souda Island and gulf from Aptera, Crete. 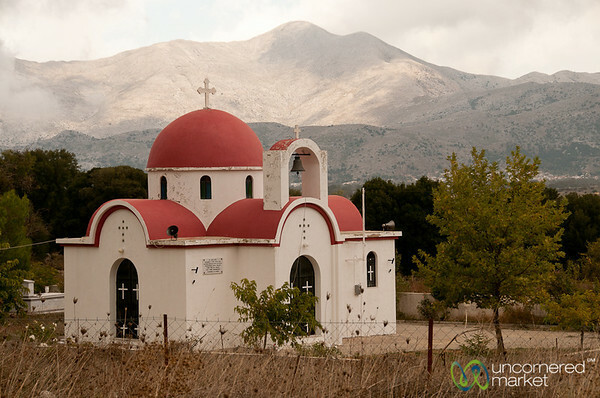 A Greek Orthodox Church near Lassithi Plateau on Crete, Greece. 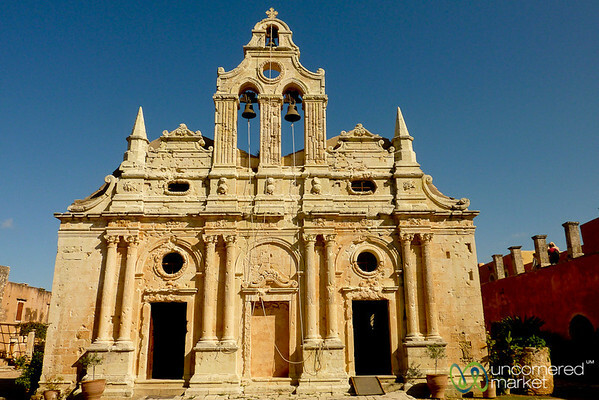 Ruins of Arkadi Monastery on the island of Crete in Greece. 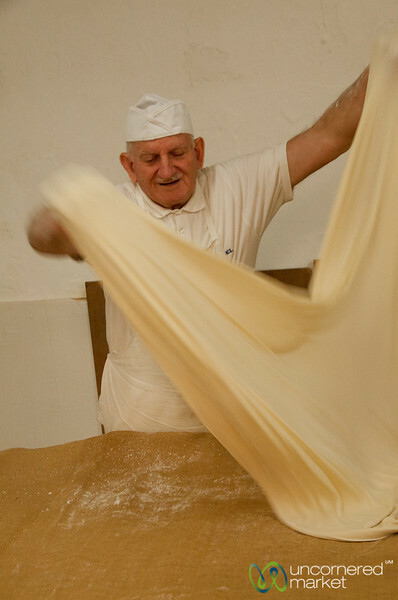 George Hadziparshos makes handmade filo dough at his family shop in Rethymnon, Crete. 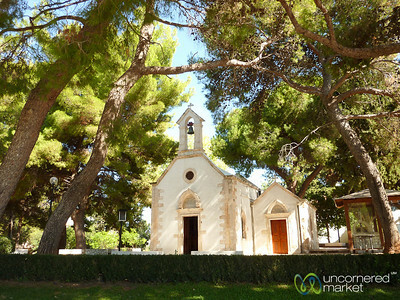 Little chapel near the tomb of Eleftherios Venizelos in Akrotiri near Chania, Crete. 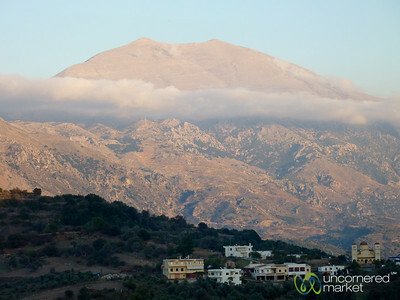 Mountain view in Amari Valley on Crete. 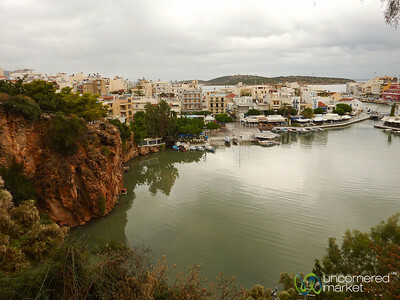 Looking down over the lake and bay at Agois Nikolaos on the island of Crete, Greece. 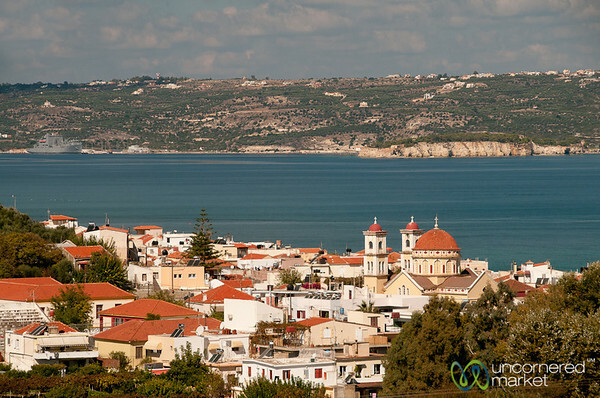 A view over the town of Chania, Crete. 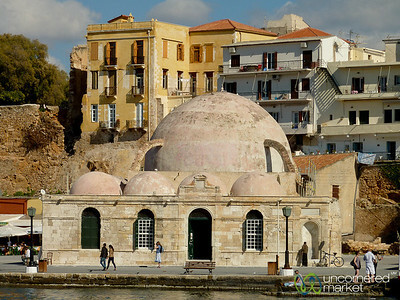 Turkish mosque on Chania harbor on Crete, Greece. 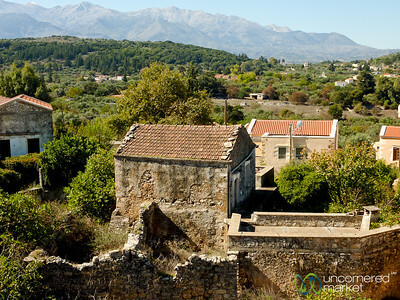 View over the village of Gavalochori on Crete, Greece. Phaistos Disc - Crete, Greece. 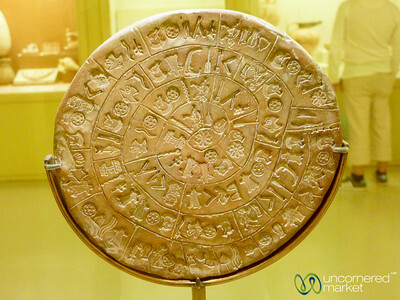 The amazing Phaistos Disc from 4000+ years ago. 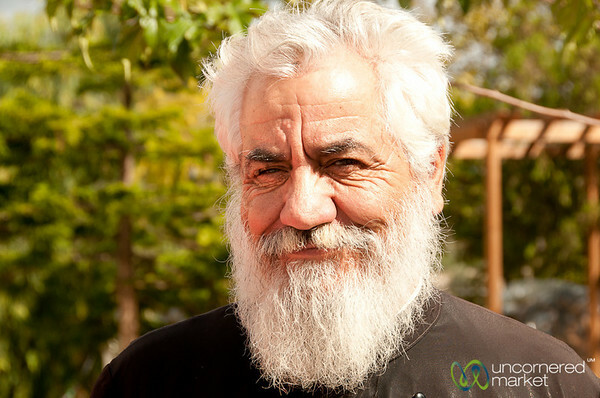 Minoan civilization cleverness in Crete. Heraklion Archeological Museum. 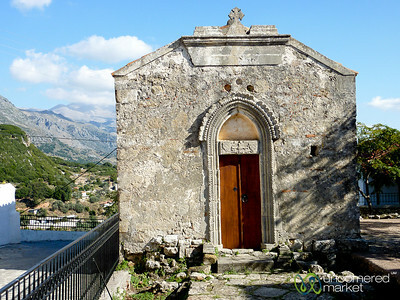 A tiny medieval church in a village on Crete, Greece. 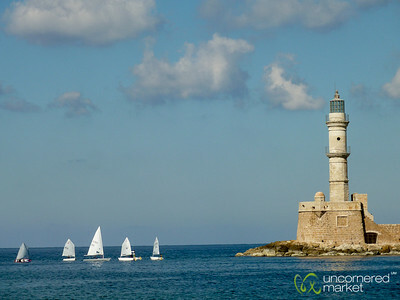 Chania lighthouse and a group of saliboats. Crete. 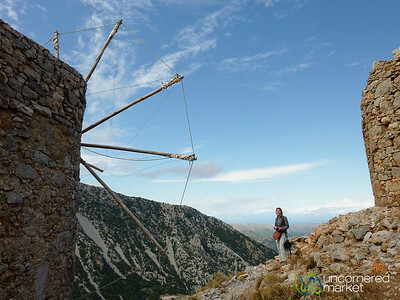 Audrey inspects a partially reconstructed Venetian windmill used for grinding wheat centuries ago. 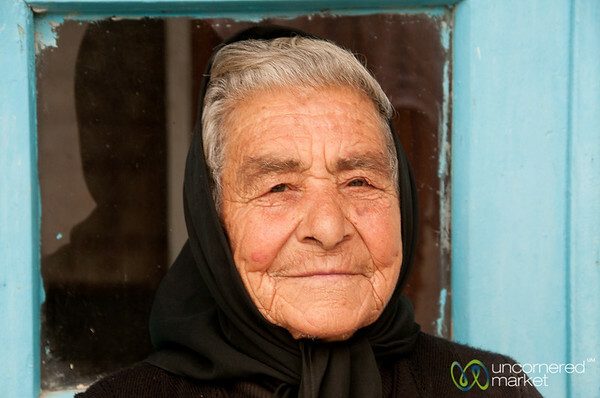 Taken near Lassithi on the Greek island of Crete. 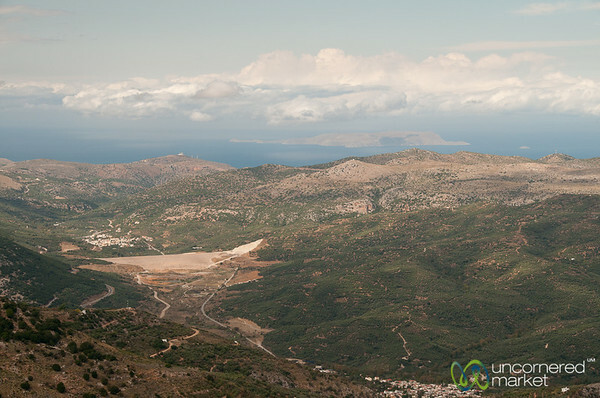 The view looking towards the sea from the pass at Lassithi Plateau in Crete. 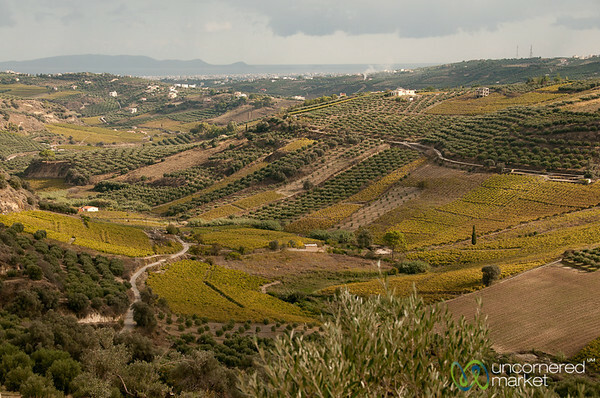 Beautiful landscape of olive trees, vineyards and mountains south of Heraklion on the way to Gortys on the island of Crete. 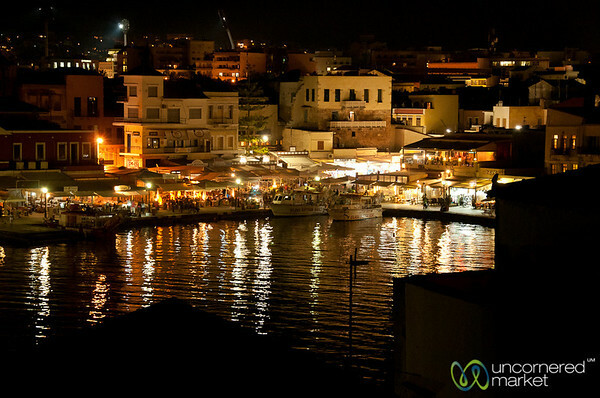 A view of the harbor at Chania (Xania) on Crete.